Since its formation in 1997, Cromar Building Products has taken advantage of its independent ownership to respond to market demands and provide customers throughout the UK and Ireland with exceptional service and value. 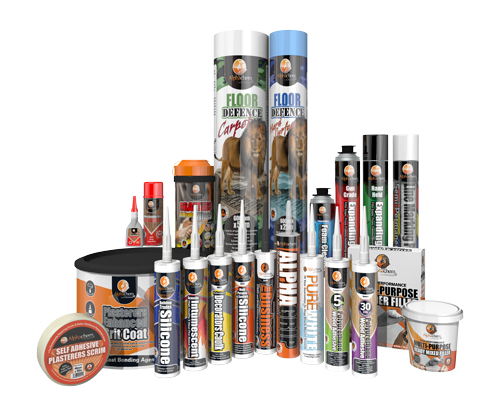 Our extensive range provides merchants with a one stop shop for all flat and pitched roofing products along with a full portfolio of building chemicals, timber treatments, adhesives, sealants, tanking membranes and DPCs. Continuous investment in research and development enables us to extend the diverse portfolio of products manufactured at our North Yorkshire base. This culminated in a seven figure investment for the design and construction of one of the most modern roofing underlay manufacturing facilities in Europe. Consequently, our lead times have been consistently among the best in the industry. As a supplier to roofing, builders’ and agricultural merchants throughout the UK and Ireland, Cromar is a member of NMBS so members have complete flexibility to buy from us without restriction. Our Associate Membership of the NFRC also illustrates our commitment to improving quality standards in the roofing industry. At a time of continuing mergers, acquisitions and consequent reduction in supplier choice, we take pride in the fact that Cromar’s independence gives us the flexibility to respond quickly to new and changing customer needs. This is why we not only supply one of the largest ranges in the industry but one which can be guaranteed to be at the forefront of new developments. We are proud to introduce the Alpha Chem range to you, brought to you exclusively by Cromar Building Products. 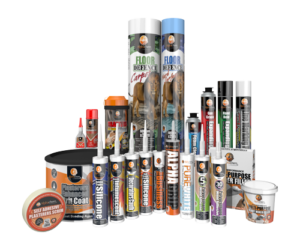 This high quality range has been developed with the typical builders merchant and builder in mind – featuring a core range of carefully selected products. All have been designed with eye catching packaging, highlighting our ‘Passion for Performance’ and our commitment to delivering a top quality product. All of this is brought to you by an independently owned company, giving us the advantage of being able to respond to market demands quickly, ensuring customers in the UK and Ireland receive exceptional service and value.